California's Department of Motor Vehicles is tapping the brakes on our robotic future, requiring all self-driving cars to include full human controls during testing. 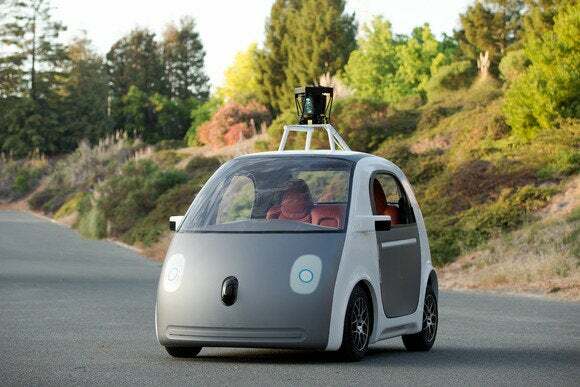 That means Google will have to modify its latest self-driving car, which has no steering wheel, brakes or gas pedal. Google told the Wall Street Journal that it will comply with the DMV's rules and add a temporary steering wheel and pedal system to its fleet of prototypes. Google's original driverless cars were just modified versions of existing vehicles—steering wheel and all. But in May, Google announced a new prototype of its own design, resembling a Smart car with space for two passengers and little else. Google plans to test the vehicle in California over the next couple of years, initially capping speeds at 25 miles per hour. It's unclear whether the DMV will eventually look to require steering wheels on driverless cars once they're available to the public, but the agency has a lot of time to think about it; Google's prototypes won't show up on public roads for a couple years, and the company hasn't announced any plans to commercialize the technology. This story, "Google's driverless car prototype will get a steering wheel after all" was originally published by TechHive.